The two upcoming car additions to the GM India portfolio in the form of Chevrolet Sail hatchback and Sail sedan are expected to be another turning point for the company. The first being the launch of Chevrolet Beat Diesel that has sold in more than expected numbers. 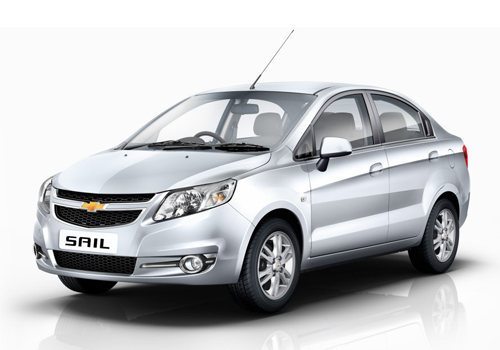 As per the recent report about the latest development about the Chevrolet-SAIC new cars in India, the Sail diesel engine will be produced in house at GM India’s Talegaon plant. Now that the Sail diesel engine is produced in India, expect the Sail to be priced much less than expected. To the more, it will also help the American car maker to give the much needed entry level affordably price diesel powered car in India. Expected to be launched in June-July, the Sail hatchback will precede the Sail sedan. As per a dialogue in a report, Mr Lowell Paddock, President and Managing Director, General Motors India has reportedly said that the Sail cars will have greater localization content and it will be as far as 70-80 percent initially. Later the percentage will be increased, said sources. Notably, the Sail hatchback and the Sail sedan are the first two offerings from the American-Chinese partnership and later on SAIC hopes to launch more cars in the country. Mr Lowell Paddock was in Pune at the launch of Chevrolet Tavera Neo 3 BSIV edition. A Wulling based MPV Chevrolet Enjoy is also about to launch in India after the Sail hatchback. Diesel engine for these cars will be available in India as it will be produced here and hopefully the petrol engines will be imported initially. CNG models could also be in the offing if conditions demand so, added Mr Paddock in the report. Currently, the engine unit with a capacity of producing 1.6 lakh units is producing diesel engines for the Beat Diesel hatchback. Chevrolet Sail diesel engine nice car. Features it is also good.